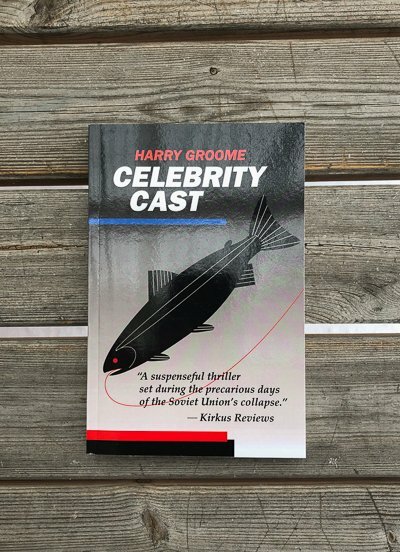 In advance praise for Celebrity Cast, Kirkus Reviews writes: “A suspenseful thriller set during the precarious days of the Soviet Union’s collapse. The double narrative action of the kidnapping and the grand geopolitical drama is compelling. The more these two plotlines intersect, the more intriguing the chaos that ensues . . .” While Ellen Lesser, author of The Shoplifter’s Apprentice, has this to say: " . . . a spectacular, spell-binding story, one which has all the elements, including but not remotely limited to suspense . . . international politics, lethal conspiracy, investigative intrigue, a fascinating landscape of characters on multiple planes, a remote and exotic geography, not to mention the sport of fishing, violent shoot-outs, medical drama, and more than one love story."